(1) As of the last count, FOTOCAT records 11,825 catalog entries. Every computer entry is supported by a separate physical file containing sighting reports, stills, technical studies, correspondence, press information, etc. pertaining to the event. In addition, slides, videos and digital material complement the documentation archive. (2) I wish to publicly thank Japanese ufologist Kiyoshi Amamiya for sending to FOTOCAT Project a DVD containing pictures and related information for 102 photographic cases reported in Japan between 1957 and 2005. The Cabanes events of 1983 is a short article in Spanish on the recent inquiry into an alleged close encounter case originally reported in 1983. This paper reflects my understanding and conclusions on the subject almost 30 years ago. From then, my views have evolved to a more skeptic stand. Specifically I currently maintain that the probability that UFO phenomena are related to alien activity approaches to zero. 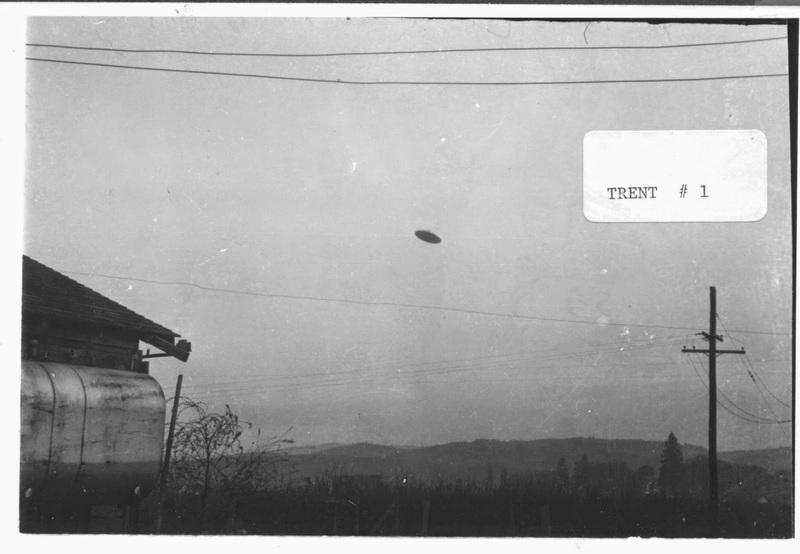 This thinking is basically founded on the combination of two facts; on one hand, the finding that many major UFO incidents turn out to be explained by ordinary causes, and on the other the lack of out-of-this-world evidence after almost 70 years of UFO reporting. However, at the same time, I also sustain the belief that this is a phenomenon worthy of scientific inquiry that should not be ridiculed. Probably taken from an interview made a few years ago, recently this statement by Dr. Vallee was aired on internet: “I have studied over 70 abduction cases, in concert with psychiatrists trained in the use of the clinical hypnosis. These specialists were uniformly horrified when I showed them what some ufologists were doing and claiming on the basis of the regressions they were performing. In case after case, it becomes obvious that hypnosis is NOT a good way to bring back true memories. The psychiatric literature confirms this. In his famous book The Fifty-Minute Hour, Dr. Lindner explains why he considered, and then rejected, the use of hypnosis when asked by the FBI to treat a senior engineer who claimed to travel psychically to other planets. Hypnosis can turn a possible fantasy into an experience that becomes irreversible. I have received pathetic letters from famous UFO abductees asking me to help them find a new form of treatment, because they continue to experience traumatic experiences that do not fit into the rigid abduction model. Unfortunately these people cannot be re-hypnotized in a professional manner after they have been subjected to the ludicrous process routinely followed in ufology today in the name of “research.” Thousands of abductees have now been regressed hypnotically, and we know nothing more about the nature of the phenomenon, the alleged craft, or the entities associated with them." 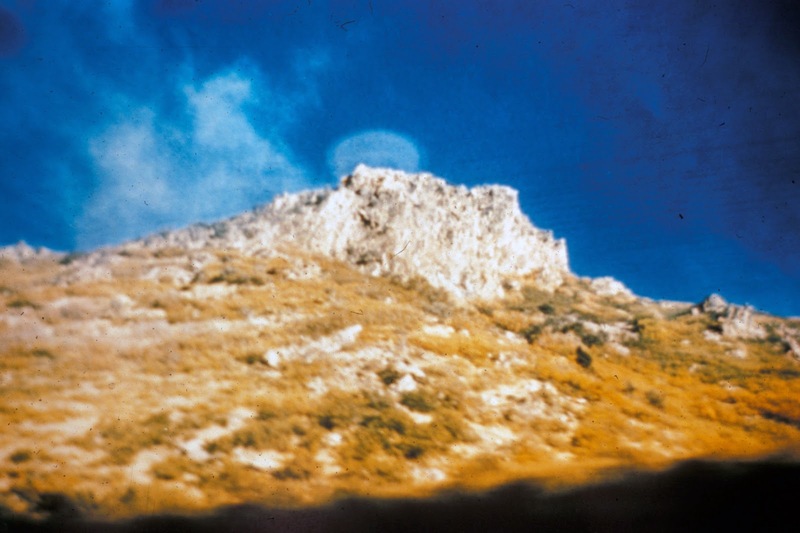 In my large collection of UFO slides, now in process of digitalization, I recently came across two nice color pictures of a Utah landscape, dated 1962. My recollection is that these were given to me by the late Dr. Willy Smith over 20 years ago. No information exists other than that the slides had been taken a by a certain Mr. Kelsey and that these were “property of MUFON.” I have contacted current and past MUFON executives and no one is aware of them. No trace was found in their files neither. Each photograph shows a translucent, globular shape, one I wouldn’t call a physical object really. The most comprehensive master lists of orbital and sub-orbital launches have been compiled by the Harvard space scientist Dr. Jonathan McDowell. These truly become very useful and important resources to resolve certain massively-sighted UFO events, actually caused by rocket and missile firings. Please find below the links to access the proper technical databases. (Thanks to Ted Molczan). Did We Know It from the Beginning? …given sufficient information promptly, the majority of reports can be attributed to the misidentification of mundane objects. Reports which remain unexplained either contain insufficient information or were received too late for an adequate investigation. 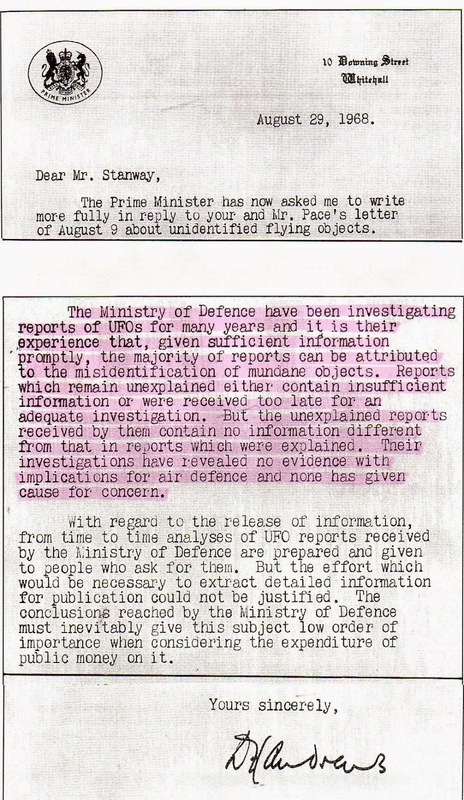 But the unexplained reports received by them contain no information different from that in the reports which were explained. The online resources that internet offers are immense. If well-used, terrific. In the field of UFO research, for instance, you can immediately check past meteorological or astronomical conditions coincidental with the timeframe of reported sightings, in order to corroborate or refute events. The other day I received the enclosed news clipping of the Robesonian (Lubbock, Texas) edition of July 27, 1966. 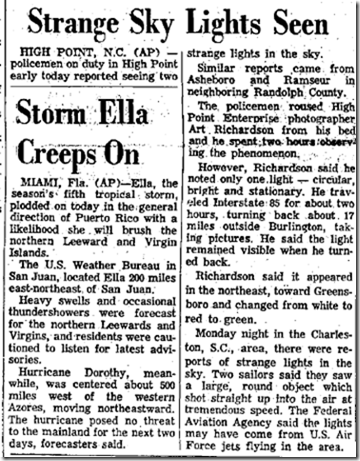 The newspaper informed that the High Point (North Carolina) policemen aroused photographer Art Richardson from bed early that day to take pictures of a strange phenomenon, a globe of light, bright and stationary, changing from white to red to green that was seen for two hours in a northeast direction. It had an extraterrestrial explanation, yes, but a conventional one. Celestial charts consulted online displayed a bright planet Venus rising in the east-northeast as early as 4:18 a.m., visible for a couple of hours before dawn’s light inhibited further observation. Two minutes checking time, laptop closed and sighting resolved. Paul Trent #1. Courtesy Dr. Bruce Maccabee. 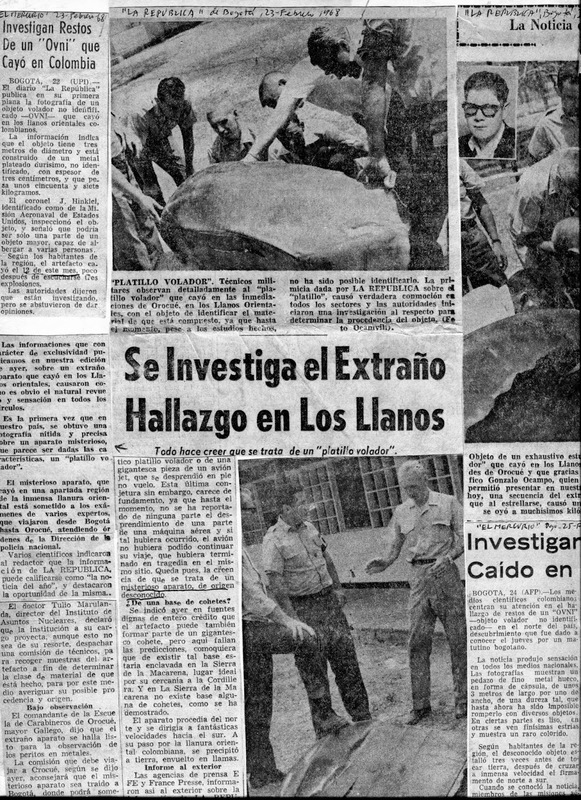 I had in my oldest archives a clipping from Bogotá’s La República of February 23, 1968, reporting the sighting around mid-day on February 12, 1968 of a fiery object that crashed to earth near Orocué, after three strong explosions were heard in a 100-km perimeter in the region of Los Llanos Orientales (Colombia). 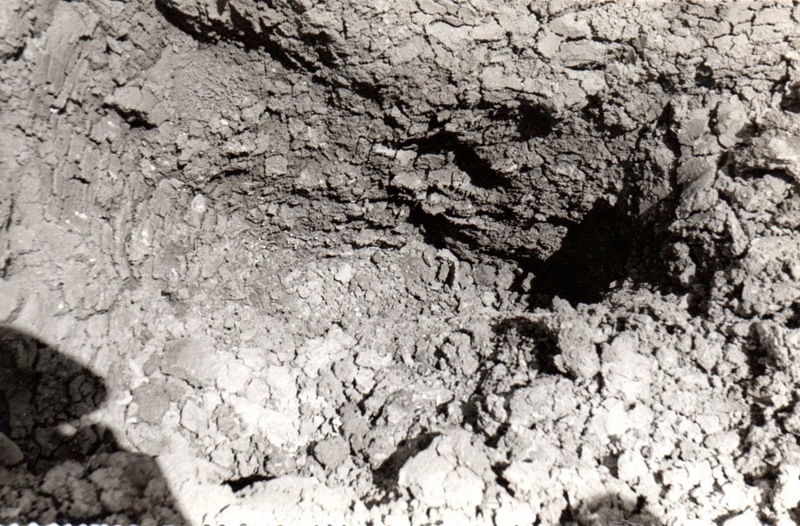 The newspaper carried some photographs of the landed wreckage. The object had been sighted traveling from North to South at a great rate of speed before falling to the ground. Eight days later, a metal fragment measuring ~200x100x3 cm was found at Pitipuy, near Orocué, in the department of Casanaré. This information reposed for decades in my Space Decay file, as a probable candidate. Nowadays, knowing the superb job that is being done by Ted Molczan on space re-entries visually observed, I decided to submit it to him with the intention to establish exact details on the object that decayed, as well as to estimate accurate data on impact time and ground track. 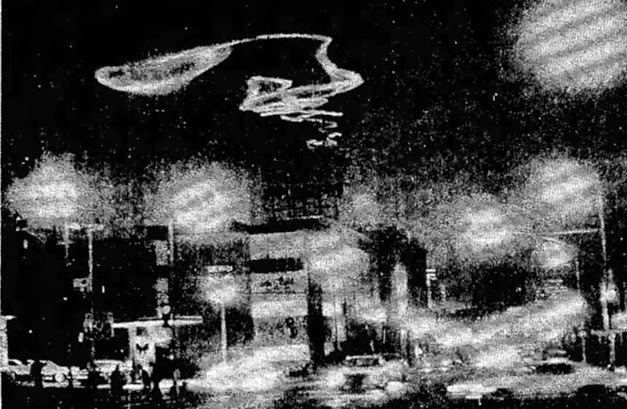 UFO journals like The APRO Bulletin also reported on this UFO crash on March-April of 1968 and then on September-October 1969 on the real deal. Molczan wrote: The object in question was 1968-007B / 3107. It was a Lunar Module descent stage that was launched on 1968 Jan 22, on a Saturn 1B rocket. The RAE Table of Satellites describes it as an "octagon + cone + 4 legs", with empty mass of 1650 kg. USSTRATCOM and The RAE Table of Satellites agree that it re-entered on 1968 Feb 12 UTC. RAE reports the time of decay as 0.74 d = 17:46 UTC, which must be +/- 7 min., given rounding to 0.01 d. That was 12:46 PM COT +/- 7 min. When I propagate the last TLE to decay near the above time (using Satevo), I find that the ground track passed very close to Orocué at 12:52 PM COT, when the re-entry was in progress. No doubt, this is one reason for the confidence of NASA and the USAF in the identity of the objects. Of course, NASA was able to inspect the objects, and compare them to the known parts of the Lunar Module. Amongst much published trash, you can also find very good science fiction literature, this is indubitable. The University of Iowa Libraries have started a major project consisting of the digitalization of a collection of 10,000 fanzines of this genre. 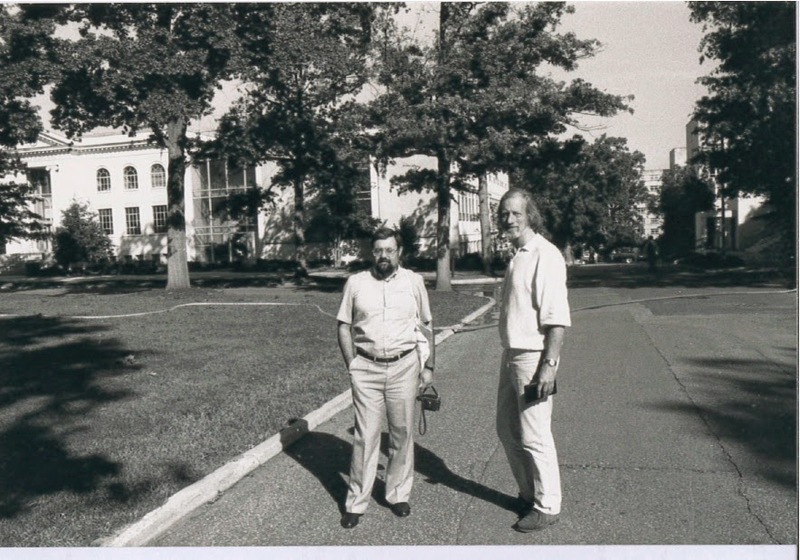 I am informing of this because the person who provided this news (to the 1947-Project forum list) is the US ufologist Edward Stewart, better known for his published indexes of Flying Saucer Review (1995) and The MUFON UFO Journal (1996). In an accompanying message, Mr. Stewart wrote: “As a one-time collector of early science fiction fanzines myself, I can attest that some of the myths in the UFO culture had their beginnings in the SF fanzine culture of the 1930s-1940s.” Others before him have drawn on this idea as well, probably the first to write a scholar treatise establishing a relationship between science fiction motifs and UFO reports being the French philosopher Bertrand Méheust in his notable book Science-fiction et soucoupes volantes (Science fiction and flying saucers), Mercure de France (Paris), 1978. 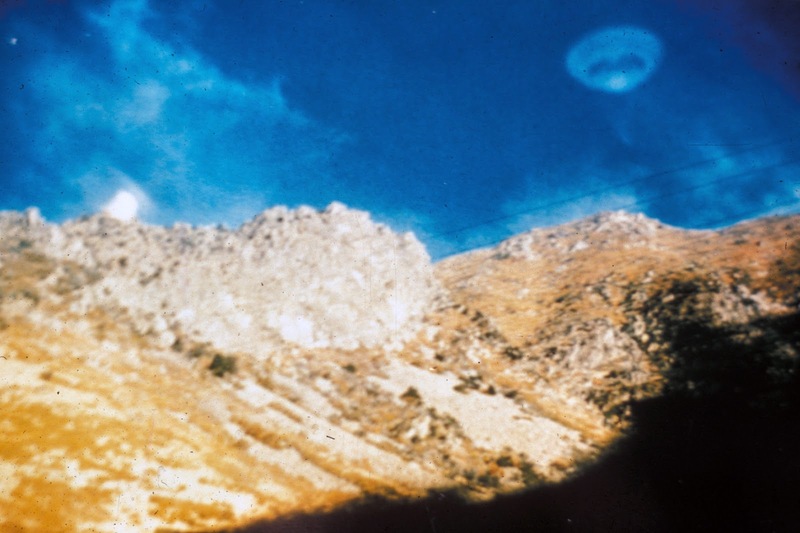 (5) On February 25, 1980, during an official flight of former President of Spain Adolfo Suárez, a UFO was seen. Although since 1997 it was unambiguously known that it had been just the sight of planet Venus‒as the Colonel pilot had stated in writing to ufologists who contacted him‒the biased, sensationalist rumor that it was a UFO continues to circulate in the tabloid press and certain TV programs. 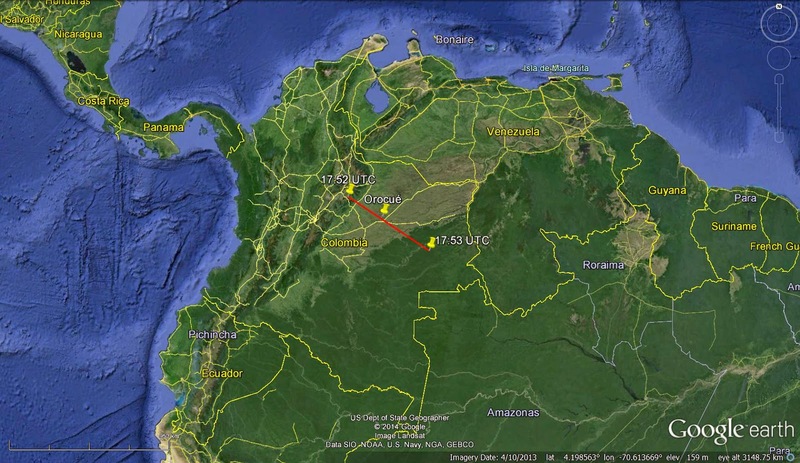 Juan Carlos Victorio has created an entry in his “Air Mysteries” blog to prove the sighting was just as prosaic as the queen of the sky, Venus, See his article (in Spanish) here. (1) Some pictures have arrived from the tunnel of time. 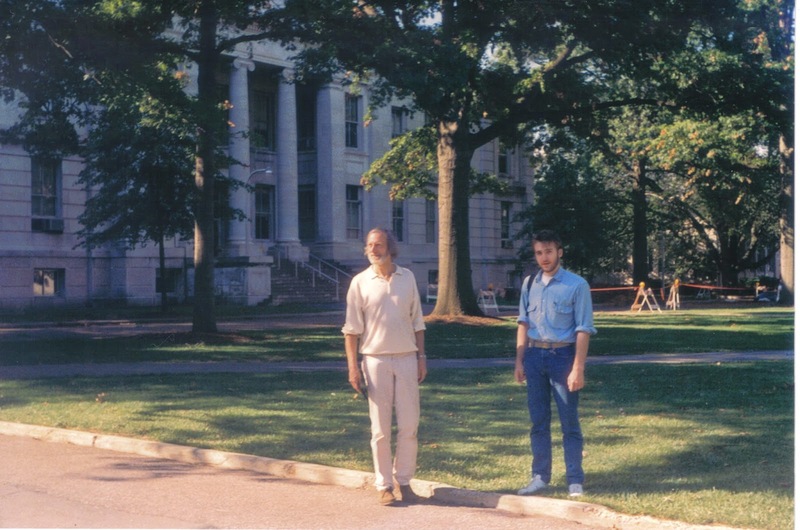 On June 1987 I gave a lecture to the annual MUFON conference held at Washington, D.C. During the informal reunions outside the congress over the American University campus, a few photographs were snapped. Thanks to the kindness of Dr. Pierre Lagrange, who was attending the conference, some of these photographs‒new to me‒have just come to light. 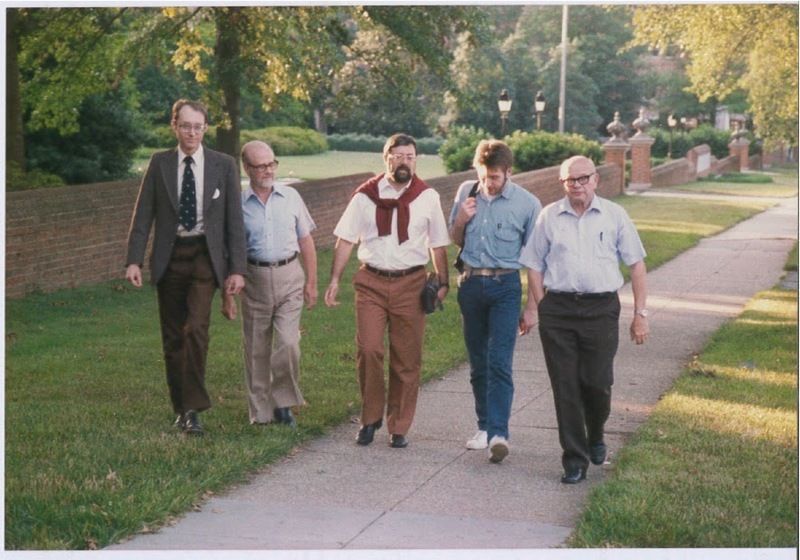 As a tribute to three veteran UFO researchers already deceased who appear in the photos, I am glad to present them here. (2) For fun, my family, my political family and friends decided to celebrate a Thanksgiving Day at the end of November with a good meal. In the photograph, in a western outfit, me and my three kids. (1) En su último computo, el catálogo FOTOCAT cuenta con 11.825 registros de episodios fotográficos distintos. Cada una de esas entradas tiene el correlato de un archivo físico que recoge la totalidad de información relativa a cada caso: informes de encuesta, fotos, estudios técnicos, correspondencia, material de prensa, etc. Asimismo, la documentación se complementa con archivos anexos de diapositivas y de imágenes digitales. (2) Quiero agradecer públicamente al ufólogo japonés Kiyoshi Amamiya su envío de un DVD conteniendo fotografías y otros datos correspondientes a 102 avistamientos fotográficos sucedidos en Japón entre 1957 y 2005. Este trabajo refleja mi perspectiva y conclusiones sobre el tema de hace cerca de 30 años. Desde entonces mi visión ha mutado a posiciones mucho más escépticas. Concretamente, en la actualidad mantengo que la probabilidad de que el fenómeno ovni tenga algo que ver con actividad alienígena es cercana a cero. Esta postura se fundamenta básicamente en la combinación de dos hechos: de una parte, el descubrimiento de que la mayoría de los principales incidentes ovni se consiguen explicar atendiendo a razones ordinarias; en segundo término, por la total ausencia de evidencia incontestable de un origen foráneo de estos avistamientos, tras 70 años de continuados informes. Dicho esto, sin embargo, sostengo que hay oportunidades de estudio científico en estos fenómenos, cuya denuncia en ningún momento debe ser objeto de ridículo. Probablemente extraídas de una entrevista publicada hace unos años, recientemente se airearon por internet estas declaraciones del Dr. Vallee: “He estudiado unos 70 casos de abducción, en colaboración con psiquiatras formados en la aplicación de la hipnosis clínica. Todos estos especialistas se quedaron horrorizados cuando les enseñé lo que ciertos ufólogos estaban haciendo y lo que afirmaban en base a las regresiones que llevaban a cabo ellos mismos. Caso tras caso, se hizo patente que la hipnosis NO es una buena forma para rescatar recuerdos verdaderos. Y la literatura psiquiátrica lo confirma. En su famoso libro The Fifty-Minute Hour (La hora de 50 minutos), el Dr. Lindner explica por qué primero tomó en consideración ‒pero luego rechazó‒ el uso de la hipnosis cuando el FBI le solicitó tratar a un físico investigador que afirmaba realizar viajes psíquicos a otros planetas. La hipnosis puede convertir una posible fantasía en una experiencia que sea irreversible. He recibido cartas patéticas de famosos abducidos rogándome ayuda para buscar nuevas formas de tratamiento, porque seguían experimentando episodios traumáticos que se escapan del rígido modelo de lo que se conoce por abducción. Por desgracia, esas personas ya no pueden volver a ser hipnotizadas de manera profesional, una vez que se les ha sometido al ridículo proceso que se sigue actualmente en ufología de forma rutinaria en nombre de la “investigación”. A fecha de hoy se ha sometido a regresión hipnótica a miles de abducidos y seguimos sin saber nada sobre la naturaleza del fenómeno, de las supuestas naves o de los entes que los gobiernan”. 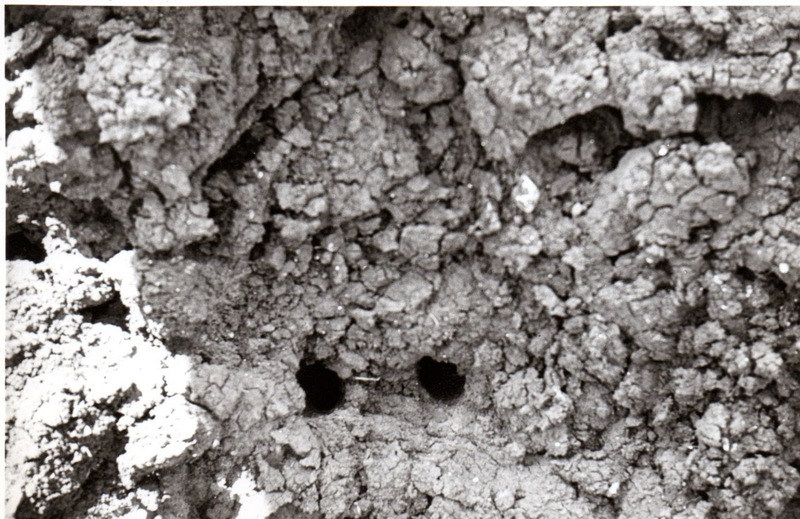 En mi extensa colección de diapositivas de supuestos ovnis, ahora en proceso de escaneado digital, encontré hace poco dos coloristas fotos de un paisaje de Utah fechadas en 1962. Según recuerdo, proceden de un bloque de transparencias que me regaló el Dr. Willy Smith hace la friolera de veinte años. No tengo ninguna información al respecto, excepto que fueron hechas por un tal señor Kelsey y que eran propiedad del MUFON. He entrado en contacto con actuales y antiguos directivos de esta entidad y a nadie le resultan familiares. Tampoco hallaron rastro de las mismas en sus archivos. Las fotos muestran una forma globular translúcida, algo a lo que yo no llamaría realmente un objeto material. Las listas más exhaustivas de lanzamientos orbitales y sub-orbitales han sido recopiladas por el científico espacial de Harvard Dr. Jonathan McDowell. Se trata de un recurso informativo verdaderamente útil a la hora de resolver ciertos avistamientos ovni, caracterizados por ser testificados por multitudes a lo largo de un enorme territorio, y que finalmente tienen como origen el disparo de cohetes y misiles. Seguidamente doy los enlaces correspondientes para acceder a las adecuadas bases de datos de lanzamientos. (Gracias a Ted Molczan). ¿No lo hemos sabido desde el principio? ... Disponiendo a tiempo de suficiente información, la mayoría de los informes se puede atribuir a la identificación errónea de objetos triviales. Los informes que siguen sin explicación, o bien contienen información insuficiente o se recibieron demasiado tarde para una adecuada investigación. Pero los informes inexplicados recibidos no contienen información diferente de la de los informes que se han explicado. Me pregunto si no es el rechazo a una afirmación de tal profundidad epistemológica –que ha sido repetida por científicos e investigadores muchas veces antes y después– lo que causa la miopía a la hora de juzgar fenómenos, las aseveraciones exageradas y los cálculos erróneos que nutren la bibliografía. (Referencia: Haunted Skies, Volume Four, 1968-1971, John Hanson & Dawn Holloway, páginas 47-48). Los recursos en línea que internet ofrece son inmensos. Y bien usados, son de tremenda utilidad. En lo que atañe a la ufología, por ejemplo, podemos averiguar registros del tiempo o las condiciones astronómicas existentes a la hora de antiguas observaciones ovni, lo que nos ayuda a corroborar o refutar sucesos. Hace poco recibí el adjunto recorte del diario Robesonian (publicado en la población tejana de Lubbock), en su edición del 27 de julio de 1966. Ese día, la policía de High Point (Carolina del Norte) sacó materialmente de la cama al fotógrafo de prensa Art Richardson para que hiciera fotos de un extraño fenómeno. Se trataba de un globo de luz, brillante y estacionario, que cambiaba de color, del blanco al rojo y al verde, y que fue visto durante dos horas en dirección nordeste. En efecto, hay una explicación extraterrestre, pero es de naturaleza convencional. Consultada la correspondiente carta celeste en programas como Stellarium, vimos como un brillante planeta Venus aparecía amaneciendo en dirección E-NE desde las 4,18 de la madrugada, siendo visible por un par de horas hasta que dejó de verse inhibido por la luz del alba. Dos minutos para verificar los datos online, ordenador portátil plegado y caso resuelto. De igual manera comprobamos un suceso que encontré en las páginas 255-256 del libro de John Hanson y Dawn Holloway, Haunted Skies, Volume Four, 1968-1971 (CFZ Press, 2011). A partir de las 9 de la noche del 25 de agosto de 1971 fue visto desde Caddington (Inglaterra) un misterioso objeto que despedía intermitencias rojas y verdes y que se mantuvo en el espacio más de tres horas. El incidente fue informado al periódico local, el Evening Post, que destacó al joven reportero gráfico Keith Dobney al lugar de autos, a donde llegó a las 11,30 de la noche. Éste afirmó después: “Lo primero que pensé es que era una estrella, pero tenía mayor tamaño que las demás y se movía. Saqué una foto con un minuto de exposición que deja ver su desplazamiento”. La instantánea muestra el habitual rastro lineal dejado por los astros y una vez consultado un programa astronómico vimos que el planeta Marte, muy brillante (magnitud -2.64) salió a las 21 horas y todavía era visible en el cielo dos horas y media más tarde, moviéndose hacia el sur. (Gracias a Kay Massingill y a J.C. Victorio Uranga). 1ª foto Paul Trent. Cortesía Dr. Bruce Maccabee. Tenía en mis archivos un viejo recorte del periódico de Bogotá La República del 23 de febrero de 1968, informando del avistamiento alrededor del mediodía del 12 de febrero de un objeto llameante que se estrelló en tierra cerca de Orocué, después de escucharse tres fuertes explosiones en un perímetro de 100 km en la región colombiana de Los Llanos Orientales (Colombia). Acompañaban a la noticia tres fotografías de los restos encontrados. El objeto caído fue visto atravesar el cielo de norte a sur a enorme velocidad antes de desplomarse al suelo. Ocho días más tarde, un fragmento de metal que medía ~200x100x3 cm fue encontrado en la localidad de Pitipuy, cerca de Orocué, en el departamento de Casanaré. Esta información ha reposado durante décadas en mi archivo de Reentradas Espaciales, como un candidato más que probable. Hoy en día, conociendo el soberbio trabajo que desarrolla Ted Molczan sobre las reentradas detectadas visualmente, le remití la documentación que tenía en mi poder para que estableciera los detalles exactos del objeto artificial que cayó del espacio y dedujera datos precisos sobre la hora del impacto y la trayectoria orbital previa (ground track). En su día, revistas ufológicas como The APRO Bulletin ya publicaron informaciones al respecto en sus números de marzo-abril de 1968 y septiembre-octubre de 1969. Molczan me escribió: El objeto en cuestión tiene la numeración internacional 1968-007B / 3107. Fue una etapa de descenso del Módulo Lunar lanzado el 22 de enero de 1968 en un cohete Saturno 1B. La tabla de satélites de la RAE (Royal Aircraft Establishment) lo describe como “octágono+cono+4 patas”, con una masa en vacío de 1.650 kg. USSTRATCOM y RAE coinciden en la fecha de reentrada el 12 de febrero de 1968 (UTC). RAE da la hora de caída a las 0.74 d = 17:46 UTC, con un error de más/menos 7 minutos, redondeando a 0.01 d. Lo cual equivale a las 12:46 hora local, +/- 7 min. Cuando extendí el último TLE (element set) de la reentrada cerca de la hora anterior (usando Satevo), encontré que el rastro orbital de la reentrada pasaba muy cerca de la localidad colombiana de Orocué alrededor de las 12:52 locales. Sin duda, esta es una de las razones de la confianza de la NASA y la USAF en la identidad del objeto. Naturalmente, la NASA pudo inspeccionar más tarde los objetos encontrados y compararlos con las piezas conocidas del Módulo Lunar. Adjunto el gráfico de la trayectoria orbital en relación con la localización de los restos en tierra. La trayectoria de reentrada real fue de los 302º a los 124º de azimut, lo que, además de la hora, coincide con el desplazamiento N-S reportado por los testigos oculares en los artículos de prensa. (Gracias a Ted Molczan). Entre la mucha paja publicada en este género, es indudable que existe también muy buena literatura de ciencia ficción. La biblioteca de la Universidad de Iowa ha comenzado un vasto proyecto consistente en la digitalización de su colección de 10.000 revistas dedicadas a la ficción científica. Me hago eco de este asunto, aparentemente bastante colateral con el propósito de mi blog, porque quien ha dado la noticia (al foro 1947-Project) es el ufólogo estadounidense Edward Stewart, más conocido por ser el editor de los índices de Flying Saucer Review (1995) y The MUFON UFO Journal (1996). 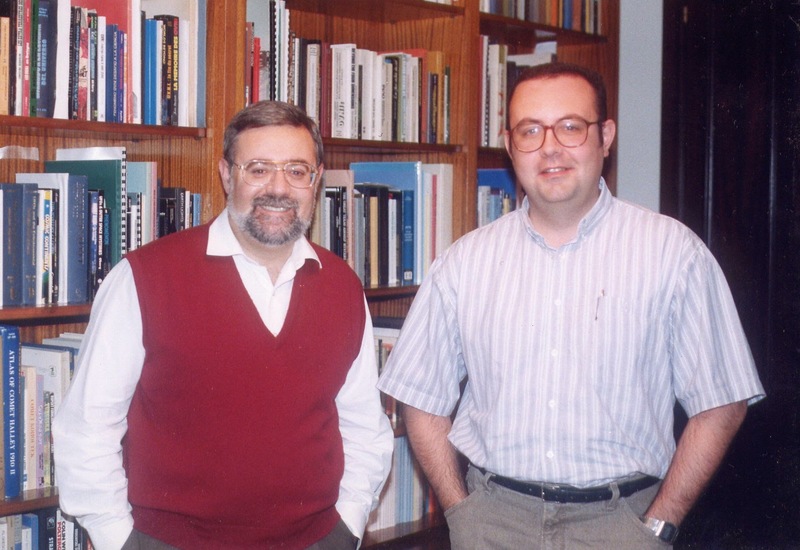 En su información, Mr. Stewart escribe: “En su tiempo fui coleccionista de los primeros fanzines dedicados a la ciencia ficción y puedo atestiguar que algunos de los mitos de la cultura ovni tienen sus antecedentes en los inicios de la literatura de ficción de los años 1930s-1940s”. En realidad, otros antes que él ya han señalado esta idea y probablemente el primero en escribir un tratado de gran erudición estableciendo una relación formal entre motivos (motifs) de la ciencia ficción popular y temas que se encuentran en los informes ovni fue el filósofo francés Bertrand Méheust en su notable obra Science-fiction et soucoupes volantes (Ciencia ficción y platillos volantes), editada en 1978 por Mercure de France (Paris). 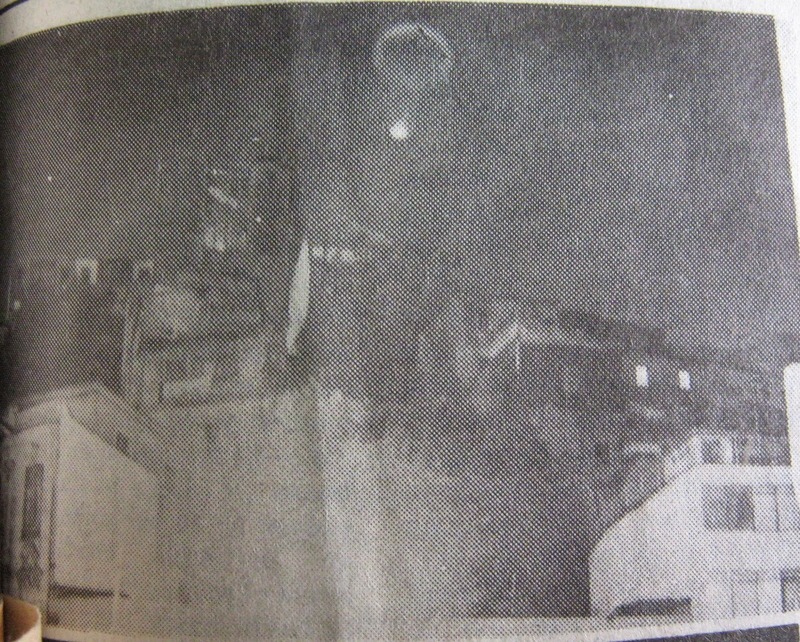 (1) Encontré la siguiente fotografía en un añejo recorte del 8 de octubre de 1971 del diario de Utah The Ogden Standard Examiner, que me enviaron hace poco, que muestra un extraña estela luminosa que se vio desde toda la cuenca de Los Ángeles y que tuvo ocupada la noche anterior a las fuerzas del orden respondiendo llamadas de ciudadanos alarmados por la visión. Basta ahora una consulta a los correspondientes expertos para saber que el susto lo produjo el lanzamiento a las 18:56 PDT del 7 de octubre de un cohete Minuteman 1B desde la base aérea de Vandenberg (California). El cohete se dirigió al atolón de Kwajalein (situado a ~3.900 km de Honolulú) portando un blanco Safeguard, desde donde fue interceptado por un misil de tipo Sprint, durante un operativo militar de defensa. (Gracias a Kay Massingill y al Dr. Jonathan McDowell). (7) Sobre pretendidos “testigos de élite”. El capitán de línea aérea Paul Howard, con 33 años de experiencia en vuelo, señaló recientemente en The Lincolnshire Echo del 6 de diciembre de 2014: “Sé que hay pilotos que han visto Venus en su máximo esplendor y consideraron la posibilidad de tomar una acción evasiva”, a lo que el investigador británico Joe McGonagle añade: “Esto dice mucho del peso que debemos dar a los testigos expertos". 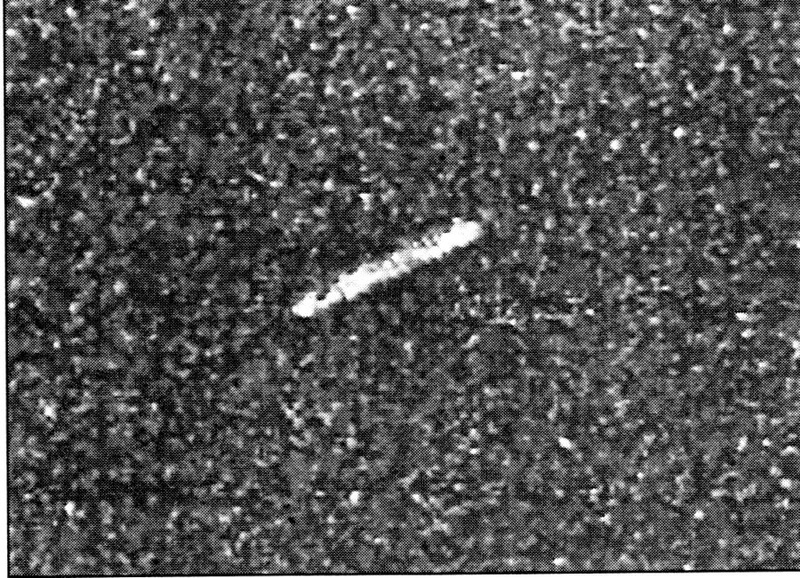 (Ufologyinuk, 7 de diciembre de 2014). 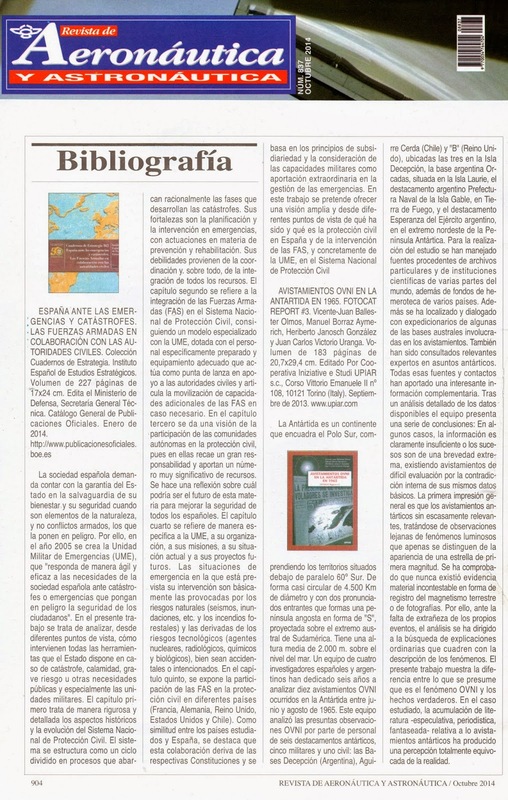 (10) Por su fuera de su interés, he actualizado mi bibliografía al 31 de diciembre de 2014 en el siguiente enlace: http://www.ikaros.org.es/bibliog1.pdf (Gracias a Matías Morey). Días atrás, en una comunicación personal, John me escribía: “Desde entonces se ha desarrollado una plétora de nuevos sistemas y sensores. De hecho, he encontrado más de 300 nuevos que podrían utilizarse para la recogida de datos sobre fenómenos ovni, pero muchos están clasificados. Los que no lo están son muy caros, así que no creo que las organizaciones ufológicas puedan servirse de ellos. Sin embargo, todos los relacionados en mi informe todavía son aplicables, incluso aunque estén obsoletos. Mi propuesta es que debemos pensar en el uso de las modernas tecnologías con el objetivo de resolver por fin este misterio”. El señor Schuessler sigue recopilando información y promete que pronto podrá ensamblarla en un nuevo y más completo trabajo que espero podamos leerlo pronto. (Gracias a Francis Ridge y J.F. Schuessler). La investigación del tándem Vachon-Seray tiene una resonancia especial en la ufología española. 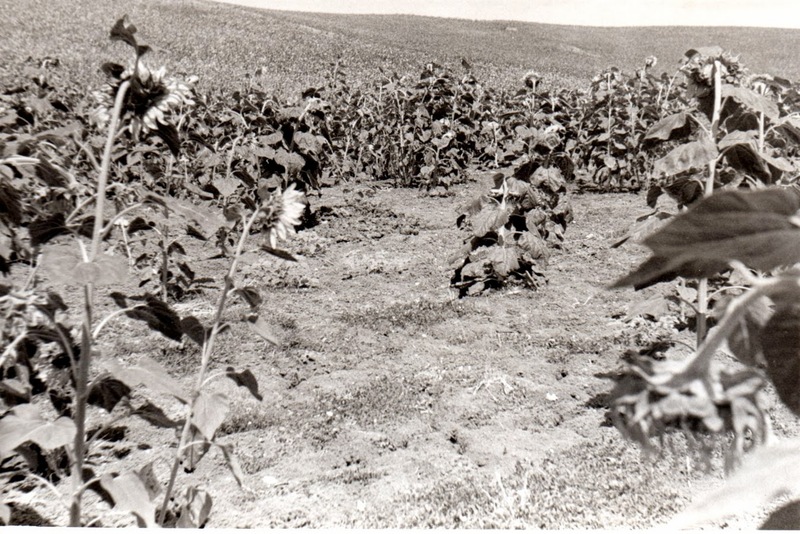 El 11 de mayo de 1970, tras una noche con fuerte tormenta eléctrica, se encontraron varios hoyos y otros daños en un campo de girasoles del municipio de Morón de la Frontera (Sevilla). Tras muchos traspiés informativos mediáticos y de una no menos ridícula investigación hecha por aficionados, el perito agrónomo y reconocido estudioso Juan Antonio Fernández Peris, a través de su óptica profesional, llegó a la misma conclusión que nuestros colegas franceses al examinar los sucesos de Marliens y otros similares en otras partes del mundo: ¡la caída de un rayo! Fue el poder de la Naturaleza en acción, no extraterrestres ocupados en destrozar el campo de un agricultor. (Seguidamente incluyo varias fotografías de los daños y las huellas encontradas en el campo de girasoles de Morón de la Frontera). (1) Fotos procedentes del túnel del tiempo. En junio de 1987 di una conferencia en el congreso anual del MUFON, celebrado en Washington distrito federal. Algunos de los participantes nos tomamos unas fotos durante las conversaciones informales fuera del recinto congresual, en un campus universitario. El doctor Pierre Lagrange, quien también asistió al congreso, me ha mandado algunas fotografías de aquellos momentos, que no conocía. Como homenaje a tres veteranos investigadores ya fallecidos que aparecen en las mismas, quisiera presentarlas a continuación. (2) El pasado mes de noviembre, mi familia política tuvo la simpática ocurrencia de celebrar el Día de Acción de Gracias con una buena comida al estilo americano. Puestos en situación, decidí ir tocado con algunos atributos vaqueros. En la fotografía, mis tres hijos y yo. Mi esposa hizo la foto.